Cat dandruff is common among diabetic cats. 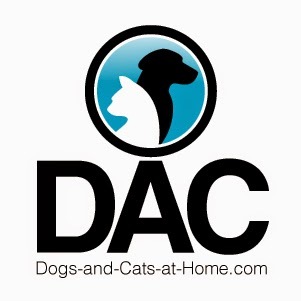 A study shows that happens in 1 in 200 cats have what is known as diabetes mellitus (DM) and if you want your pet to get better, here are some things you can do. The cause of this problem is associated with poor nutrition. So, instead of buying one of those generic brands of cat food, maybe you should change it and go for one of those that are of good quality even if it may cost a little more. You can also give food supplements that contain fish oil which has proven to correct the dandruff problem. This may also come from canned tuna since it is rich in Omega 43 fatty acids that will improve their hair in about a week. The symptoms that will tell you if your cat has a skin care problem like dandruff includes an increase in their appetite, excessive thirst or urination, dehydration, depression, muscle wasting, lethargy, weight loss and an unkempt hair coat that is a direct result of poor grooming. It gets worse when the cat displays weak rear legs. Aside from a cat being diabetic, other risk factors include certain steroid injections, neutering and old age. The cold weather could be another cause since it dries the cat’s skin. If your hunch is correct, you can fix this problem by buying a topical and oral treatment that is designed to treat dry skin. Aside from dandruff, owners should also worry about allergies as this also causes skin problems among cats. This may come from cleaners, pollen, food and other sources and since it is hard to pinpoint the exact cause, owners are advised to use only natural care products in cleaning the home. The cat should also be confined indoors to prevent them from roaming outside. Studies have shown that sunburn kills the top layer of their skin causing it to dry and flake off. Repeated sunburn may result to skin cancer so if you decide to let them go out, this should be done before 10 in the morning and after 4 in the afternoon. During the winter, the cat should not be allowed to sleep near the fireplace as this also dries out their skin quickly. To keep them warm during the cold months, you should invest in a good humidifier. The cat may also be infested with fleas and ticks. You can check the cat’s skin routinely to pull them out and use powder to flush the rest out. The hair should also be combed so this does not happen again. If the cat’s skin care problem continues, it is best to bring it directly to the vet as over the counter medications and parasite treatments which you have tried are not good enough to do the trick. Some of the symptoms associated with dandruff could be something else like a skin disorder and one of them is Cheyletiella which requires the help of a professional. Cat skin care problems like dandruff must be taken cared off immediately before it gets worse. Proper hygiene, diet, and grooming are the best ways to keep it away and if household remedies don’t work, you better get help so the exact cause can be determined and the proper treatment can be given. Most cats are covered with a thick, protective fur. This makes it extremely difficult to tell if a cat has a skin problem before it becomes extreme. It is important to take time on a regular basis to examine your cat’s skin closely for anything that may be wrong. Run your hand gently over his body and explore the skin for any unusual patches. If you find any, part the fur by brushing it slightly, so that you can see beneath the fur and have a better look at the skin. If you do this often enough and understand your cat’s body, you should be able to spot any irregularity easily. You will learn to know what looks normal and what doesn’t. Cheyletiellosis is a skin disorder in cats is caused by skin mites and is particularly contagious between cats as well as humans. 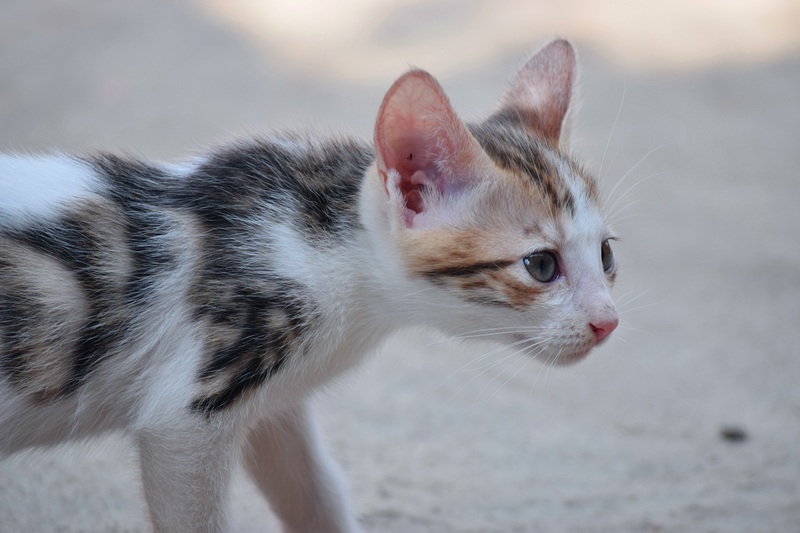 In cats, the symptoms are itching and it usually results in heavy scaling and flaking of the skin, which is why Cheyletiellosis in cats is often known as “walking dandruff”. This skin condition is usually not deadly and can be easily treated with the right medication once the condition has been diagnosed and confirmed. Alopecia is a skin disorder in cats that will cause hair loss due to endocrine disturbances, localized infections, or generalized illnesses. The condition can also be a result of stress. The symptoms included bald patches on the skin and can be accompanied by a reddened or inflamed skin. Not a deadly skin disease, and with proper treatment, the fur would most likely grow back. While most skin conditions are caused by allergies to food and pesticides bite and can be easily managed and treated, early detection is still important. A few minutes each day could very well prevent days of discomfort later. Just like humans, your precious kitty is also prone to several skin diseases. Cat dandruff, ring worms and acne are 3 of the common feline skin diseases that can affect your pet. Although proper grooming is the best method to prevent these skin problems from occurring in the first place, you have to be extra aware and attentive in case your feline friend has been already affected by any of these ailments. Here are some general facts that will help you keep these skin problems at bay. „Feline chin acne“ Wikimedia Commons. 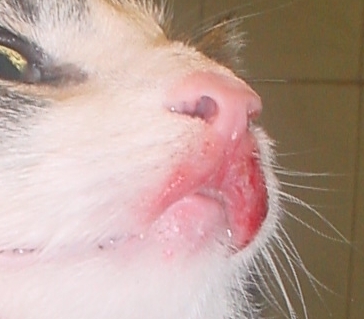 Feline acne is one of the most common skin irritations that a cat may experience. Symptoms of this ailment include the cat getting a lot of blackheads on its chin. Acne occurs mostly due to excessive oil secretion in the skin. However, poor diet and improper grooming can also be a factor. Though acne is not as serious as other cat health problems, you should not ignore this skin condition as it might worsen anytime. Fortunately, you should be able to find special acne shampoo and antibiotic creams that can help take care of this condition. However, in case of excessive inflammation, you have to take your pet to the vet. Skin diseases in cats are usually a result of poor nutrition and improper grooming. Though cats groom themselves, it is seldom enough to keep them healthy. Dandruff is mainly caused due to the dryness of the skin, which again is the result of lack of nutritional elements in the body. If you are continuously feeding your cat cheap dry food, change her diet immediately to good quality canned food as these will provide the essential nutrients to her body and keep her skin hydrated. You might also want to use special cat dandruff shampoo to prevent the occurrence of dandruff. This is another skin problem that can affect a cat at any point of time. Mainly caused by fungus, ring worms can spread to the surrounding areas if you are not grooming your cat regularly. The skin of the affected area shows signs of crusting, scaling and redness. If your kitty has been affected, bring her to the vet and he will prescribe oral medication and specific shampoo to deal with this problem. Your vet may also ask you to clip the hair in that area. These 3 common skin conditions are some of the cat health problems that might affect your kitty. When in doubt, always check with your vet. If you see a lot of dead skin flakes on your cat's back, it is likely cat dandruff. Like us human, it is not unlikely for cats to get dry skin due to climate, allergies, and even sun burn. Knowing what causes the dead skin, can help you to determine how to get rid of cat dandruff for good. There are many causes of cat dandruff. Some are harmless, however others many need medical attention. Some common causes are diabetes, diet, parasites, and dry air. 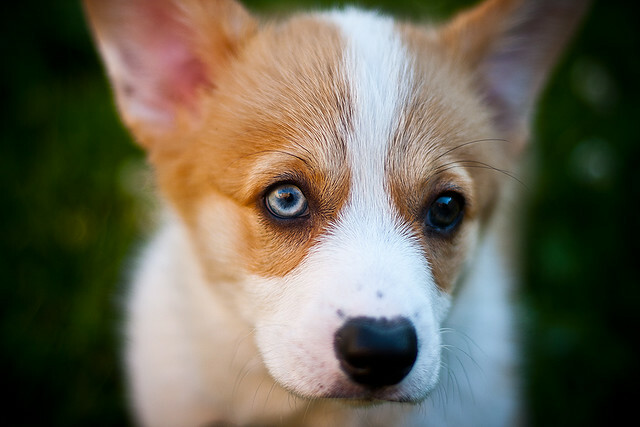 Before beginning an at home treatment, it is important to see a veterinarian first to rule out any serious medical conditions. Once you have ruled out any medical ailments, put your cat on a high protein diet. Even if you think you are feeding your cat the highest quality food on the market, some are filled with animal proteins rather than meat proteins. Read the ingredient list. Meat protein should be the first item listed. Cats are little people in the respect that their skin is subject to reaction to dry air and sunburn too. As if your skin needs moist air, a cat's does as well. Consider buying a humidifier for your home. Both your skin and your cat's will see the benefits. Also, as with fair skinned humans, if your cat is white furred, it is important to give them a place to get shelter from the sun when they are outside. So, to get rid of cat dandruff, rule out the major health issues by going to vet. Then give him the proper diet and protection from arid and sunny environments. Your cat will be happy and sport a healthy looking coat!